Come join the family and see why we are so much more than just great deals! We'll beat any competitor's advertised deal or you get the car for free! This unique program, valued at $3,500, assures new owners peace of mind over the life of the vehicle. Automotive Team that will provide you a total solution to all your vehicle needs. With a simple 3 step process, you can experience the ‘Basil Difference’ and drive away in a new vehicle today! Select the finance program that best suits your needs. We believe in helping you preserve the quality and value of your vehicle so we offer free oil changes for life when you purchase and service your vehicle at Basil Resale Delaware. Kire was extremely helpful and informative. The best customer service I’ve had in years and got me in my new car in just 3 days (and I’m including Sunday). Any future cars I get, I’d definitely come back here if I can. And I definitely recommend Kire to anyone that’s searching for a car! Keyre hope I spelled that correct helped us tremendously thank you so much for your customer service and non stop dedication to making sure we received the vehicle we wanted. The Best Used Cars, SUV’s & Trucks in Buffalo! 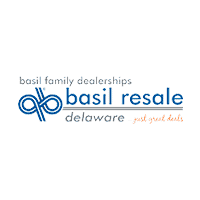 At Basil Resale Delaware our dedicated team works hard to make your used vehicle buying and ownership experience easy and enjoyable. Basil has the best used vehicle inventory in Western New York with over 1,100 vehicles to choose from including all the brands you love: Acura, Buick, Chevrolet, Chrysler, Dodge, Ford, GMC, Hyundai, Mitsubishi, Mercury, Mazda, Nissan, Oldsmobile, Pontiac, Saturn, Scion, Subaru, Suzuki, Toyota, and Volkswagen. Our online inventory allows you to search for the perfect used car, at the perfect price, along with no obligation price quotes for free.Trust Basil Resale Delaware to take care of your vehicle needs beyond the date of purchase! Our service center is staffed with the best of the best technicians that will make servicing your vehicle transparent, quick and easy. Whether you need to stop in for an oil change or are experiencing transmissions problems, our service team is here to help get you back on the road in no time! Our friendly staff, experienced service technicians and trustworthy finance team are here to help with all your automotive needs! Visit Our Buffalo, NY location today to find out how we provide the Basil Difference to drivers of the greater Buffalo, Kenmore and Tonawanda areas! Call or message us and the Basil Resale Delaware team will show you why Basil is so much more than just great deals! Welcome to the Basil Family!